November 17, 2012, Washington, DC: Something significant happened today in the Washington neighborhood of Navy Yard -- something we'd all been waiting for. Today was the day the children arrived. 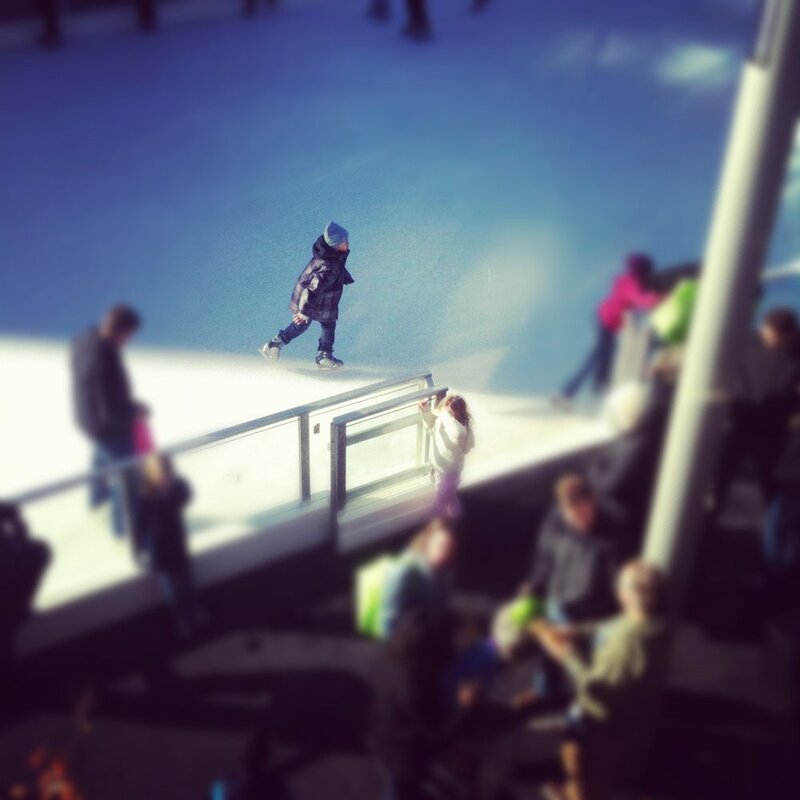 They came to skate at Canal Park during its opening weekend, scurrying around the icy surface. They slipped and slid and infused new life into a neighborhood that up until now has been too quiet and empty on weekend mornings. Until now, we'd believed in the promise of the neighborhood but had not yet seen much of it come to fruition. Today was one of the first days outside of baseball season that we witnessed people coming to Navy Yard to enjoy the neighborhood in its present form. Navy Yard, after all, isn't a neighborhood most of us talk about in the present tense. It's a neighborhood that generates lots of conversation about the past and future, but a place whose present has been stalled and nondescript. Vacant lots and construction sites mark spaces that were once something to someone and promise to become something new sometime soon. Today's scene at Canal Park changes the conversation. It has us talking about Navy Yard in the here and now of the offseason, five months before another ballgame at Nationals Park.